TALES FROM HAUNTED DISNEY UNMASKED AT THE ANNEX! In Newport, RI? Spend your Saturday, November 6 a little differently—come down to Annex Comics & Cards at 314 Broadway for Skeletons in the Swimmin’ Hole—Tales from Haunted Disney World signing. 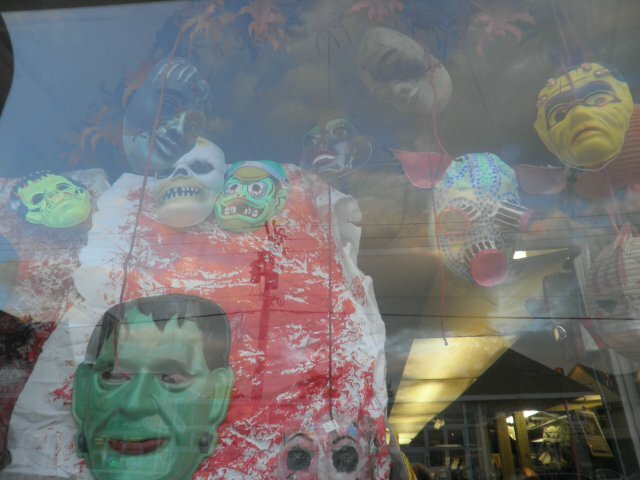 This runs during their month-long MASSIVE WALL OF HALLOWEEN MASKS exhibit! Here’s some pretty cool pix from the displays Wayne has up in his store. My mask. I tried to go for a creepy doll Day of the Dead look. Not very talented in the art area am I. 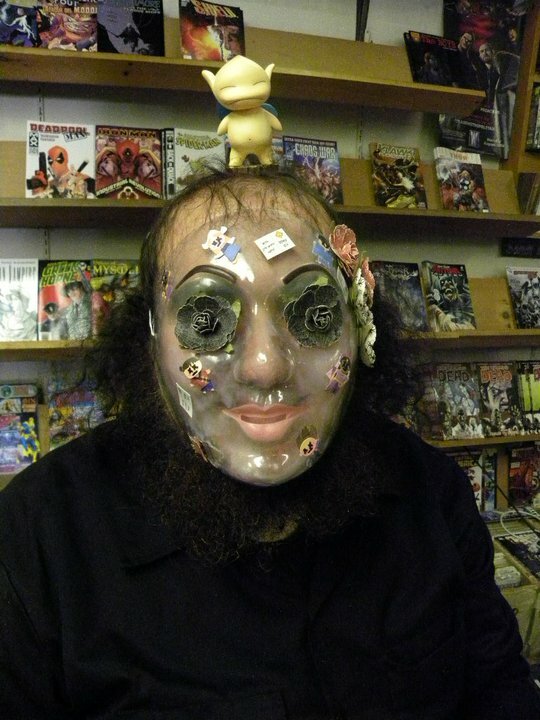 My mask being modeled. Photo: Wayne Quackenbush. 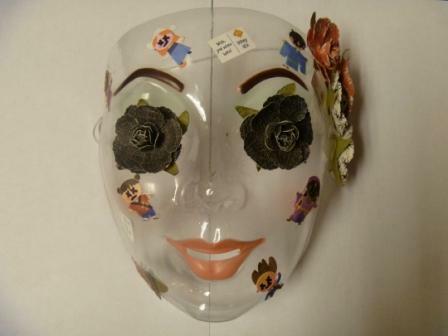 My mask being modeled on Facebook! 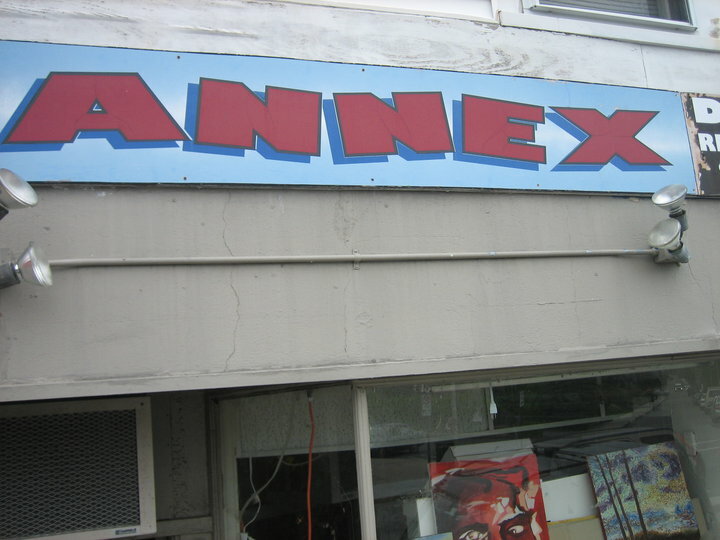 The Annex has a massive and diverse selection of comics, still has an area at which you can rent Japanese horror films, and hosts Zombie Fridays as well as 12-and 24-hour comic-drawing marathons. Learn more at www.annexcomics.com or find them on Facebook to stay in the loop, and see you there! ← THE PARANORMAL AND THE PEN: MY INTERVIEW IN PARANORMAL, EH?